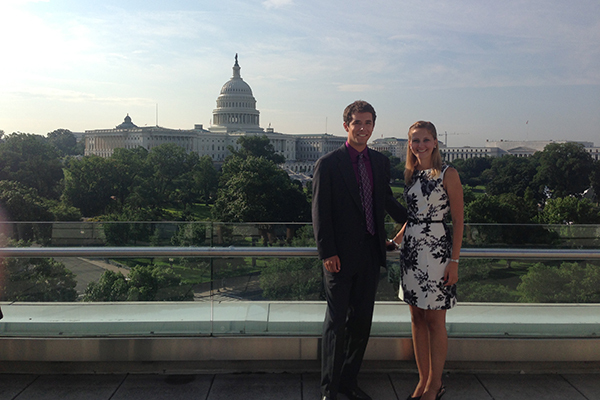 On June 28, students from the University of Delaware, Sarah Kutash and Andrew McCutchon, traveled to Washington, DC to lobby for music education integration into public schools. This is a major step in moving music education to the forefront of political discussion. Although providing quality access to music education is a priority for Berklee City Music and our Network members, the importance of integrating music into core curriculums in public schools is too often overlooked. Various studies by clinical professionals have been done to suggest that adding music to a child’s core academic studies would be beneficial. Studies also suggest that children involved with music have more a larger growth of neural activity than those who are not. The article goes on to quote Dr. Eric Rasmussen, chair of the Early Childhood Music Department at the Peabody Preparatory of The Johns Hopkins University. “There’s some good neuroscience research that children involved in music have larger growth of neural activity than people not in music training. When you’re a musician and you’re playing an instrument, you have to be using more of your brain,” explains Rasmussen.